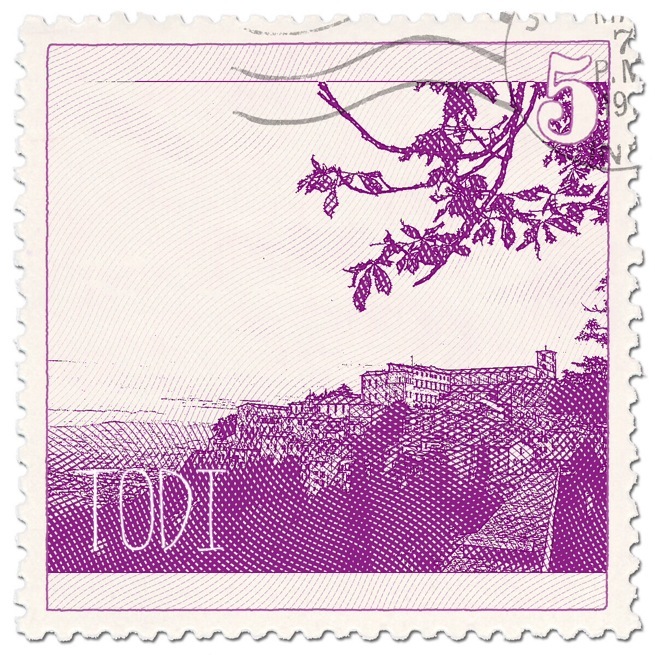 Todi had a funicular. 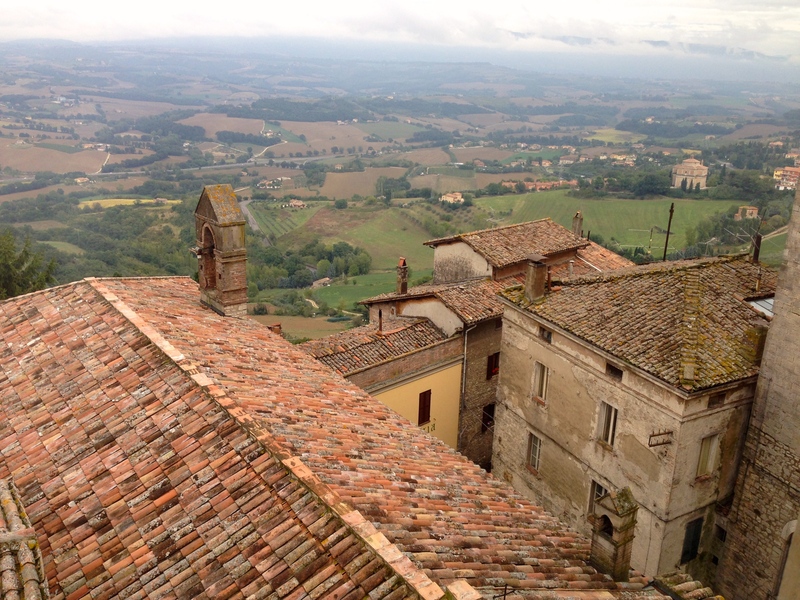 So thankful for an easy way to get up the hill to the center of town from the car park. Very thoughtful to provide that for those of us with weak knees! 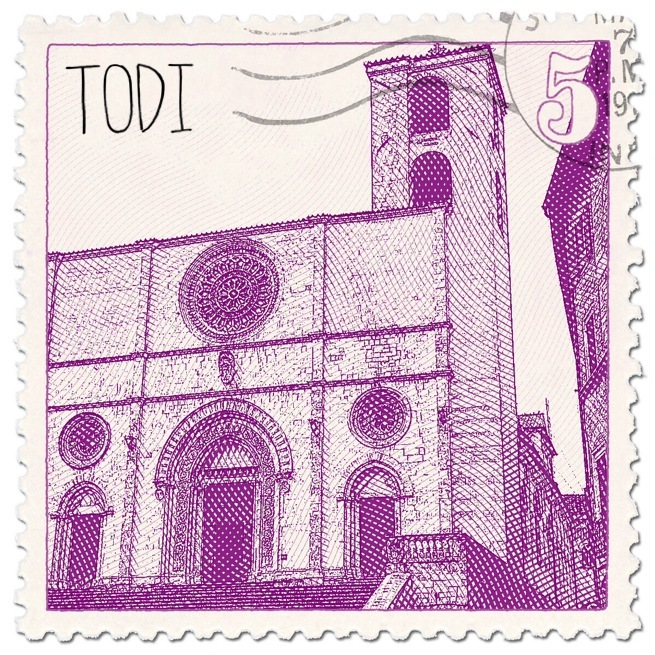 Todi’s lovely Piazza del Popolo sits on the site of their old Roman Forum and the Duomo is surrounded by 12th century palaces. 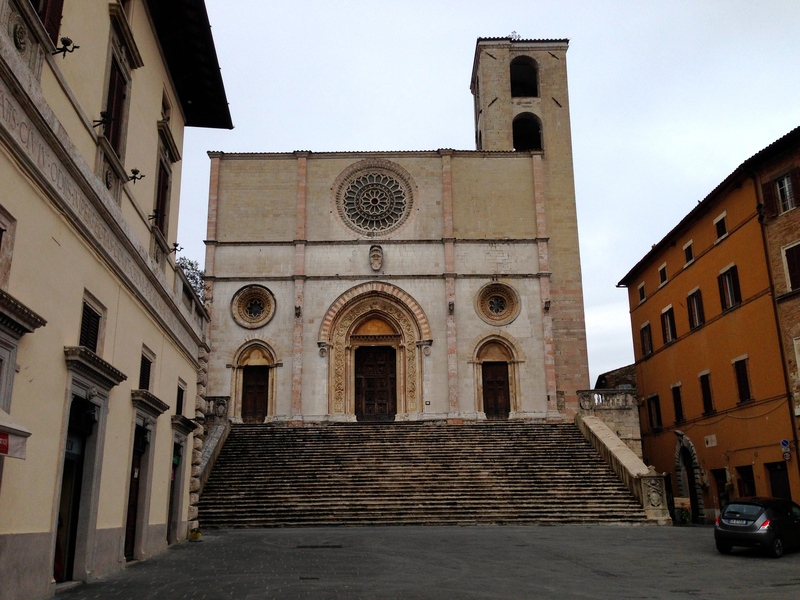 The Duomo itself sits on the site of a Roman Temple. One of the palaces contains the Museo-Pinacoteca e Museo della Città. The path up to the entrance door was a lovely staircase. Unfortunately, the Duomo was closed on the day we were there, but the museum was open and the women’s restroom had a wonderful view of the valley below. 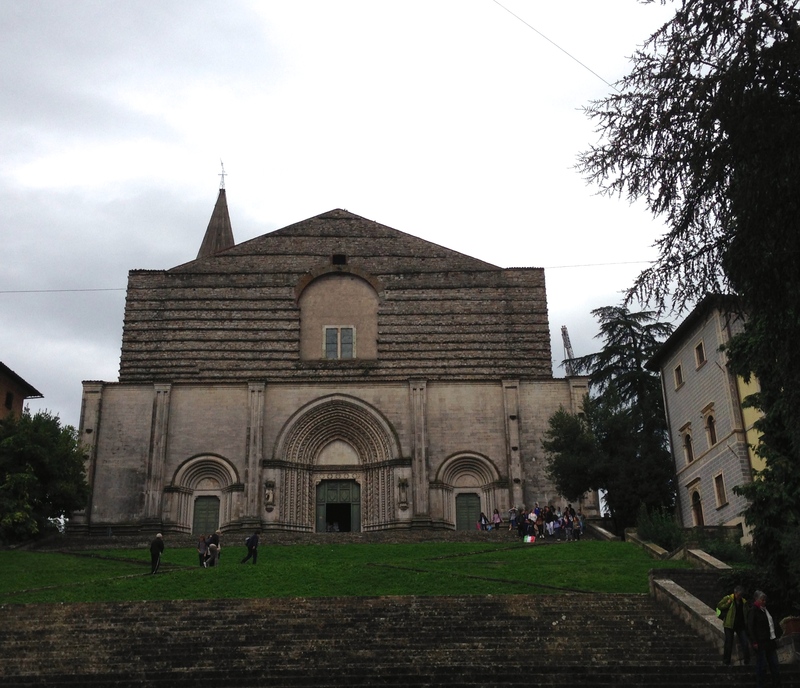 Up at Piazza Jacapone, the San Fortunato Church (started in 1292) had a facade by the same architect (Maitani) as the Duomo in Orvieto. 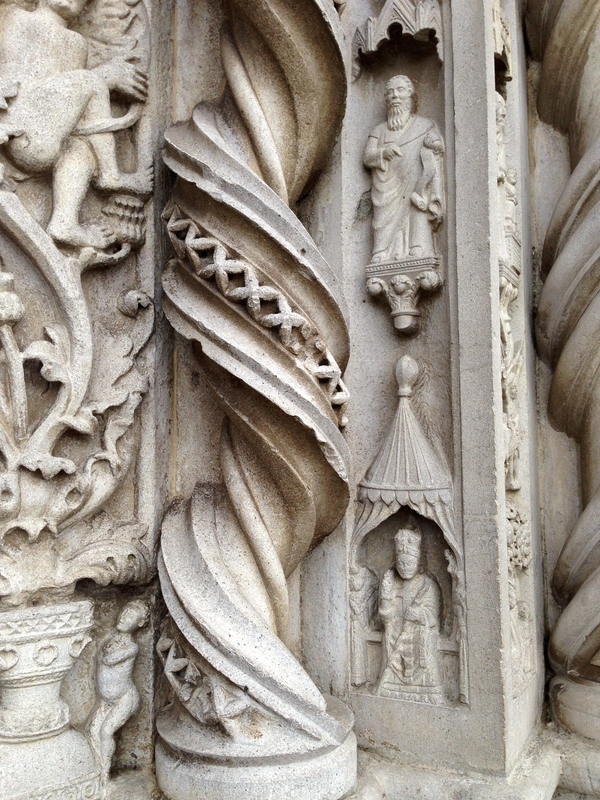 No mosaic pieces but intricate carvings. Some at this point are missing their heads but it makes for a wonderfully textured facade. 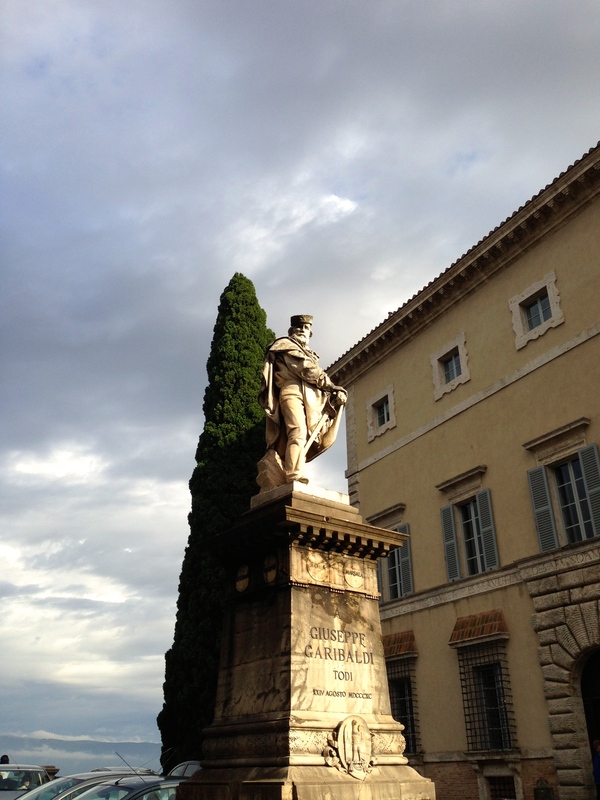 There is also a Piazza Garibaldi with a statue from 1890. 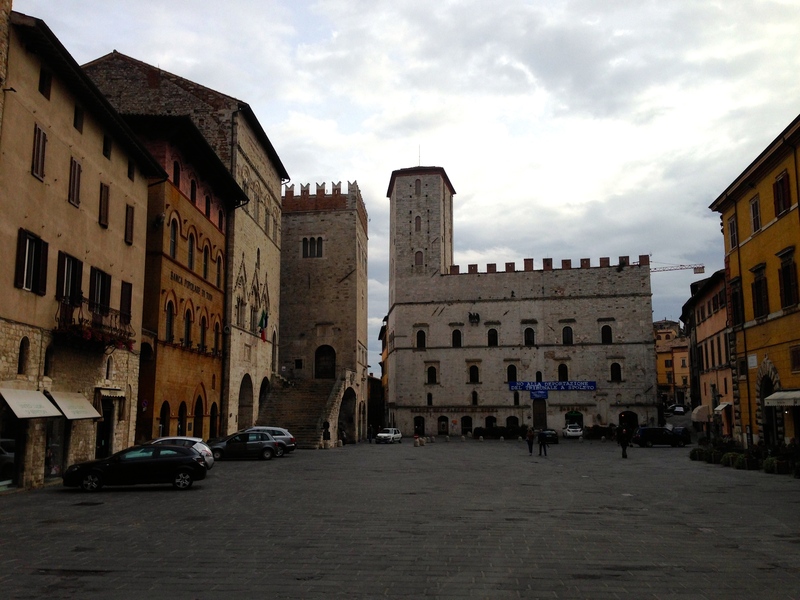 Categories: architecture, Art inspiration, Day trips, Historic Buildings, iMovies, iPhone Photos, Italy, museums, photography, Travel, Umbria, Uncategorized, Walks | Tags: architecture, arts, Duomo, Duomos, Etchings app, Historic buildings, iMovie, iphone photos, Italy, Museo della Città, Museums, photography, Piazza del Popolo, piazzas, statues, Todi, travel, Umbria | Permalink.